Mahalo nui loa to the local Holualoa farms and island wide co-producers for providing us with the freshest organic fruits, vegetables, herbs, meats, fish, and specialty foods. As much as possible, we use fresh, local, and organic produce from farms within five miles of our kitchen. We use fish provided by local wild-caught purveyors, and meats from local, grass-fed, hormone-free and organic stock whenever possible. Holualoa Organic broke ground in 2005 on 16 acres in Holualoa, at an elevation of 900-1,000 feet. Run by Rob and Amy Alexander, Holualoa Organic specializes in arugula, tatsoi, mustards, rainbow carrots, turnips, and Heirloom tomatoes, and now maintains 30 raised beds, a 28x72-foot greenhouse, four acres of coffee, four acres of native Hawaiian plants, fruit and spice trees, and two and a half acres of pasture land for their eventual dairy. Lehualani Farm is owned and tended by Josh and Kelly Brownell. Situated in Hawaii Ocean View Estates at 2800 feet of elevation, their subtropical all-organic farm produces beautiful rainbow lettuces. We look forward to their impending harvests of basil, poha berry, naranjillo and other tree fruits. Adaptations is a long-time purveyor of organic produce that serves island restaurants and kitchens by networking with farmers and chefs. 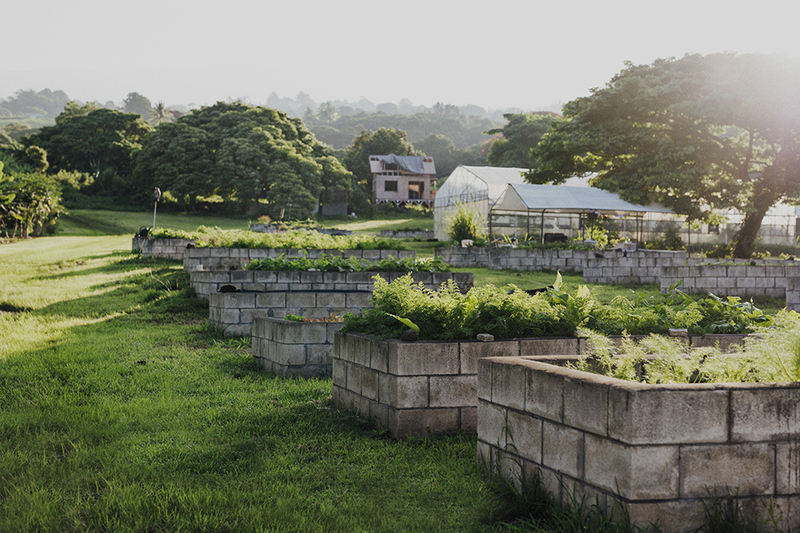 Maureen and Tane Datta are some of the original root stock in the island’s organic food movement, and much of the success of Hawaii's sustainable farming community is owed to their vision and perseverance throughout the years.